Discover this touristic praia in the vicinity of Luz, in Lagos (Algarve), ideal for those in love with watersports such as windsurfing, kitesurfing, sailing, and diving. 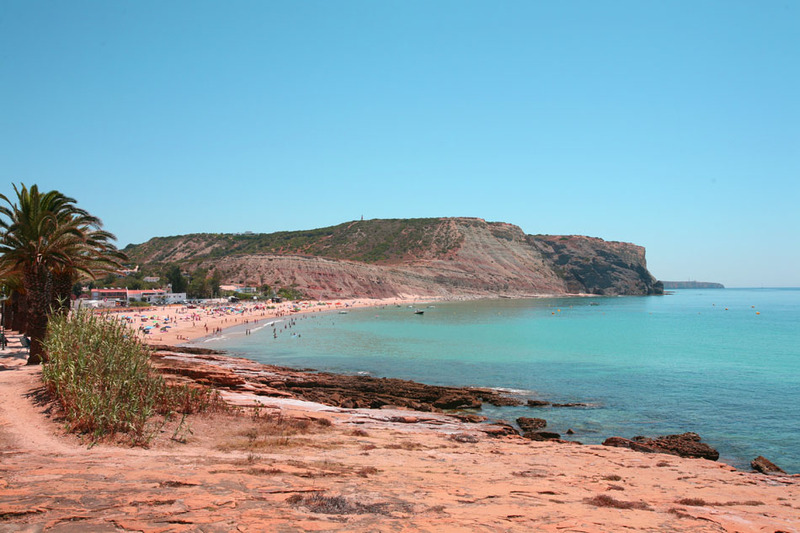 Praia da Luz beach is located in the small and cosmopolite touristic town of Luz. A stone paved walk and flanked by great palm trees is here the perfect setting for your walk. 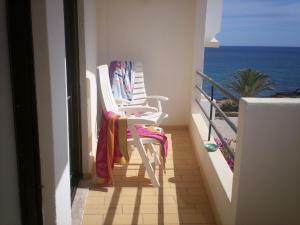 Prefer looking at the sea or enjoying some drinks in the lively and sunny terrazas? Luz has that and more too. On one side of the beach, there is a rocky platform with reddish hues very much sculpted by the sea. If you are close enough to it, it’s possible to see marine fossils and the fauna of the intertidal line. Towards the east of the beach rises a grey and eroded cliff known as Rocha Negra: a volcanic seam of Sierra de Monchique which extended towards the sea. This quiet-water bay is ideal for practicing different water sports such as windsurfing, kitesurfing, sailing, or diving. Restaurants, WC, summer lifeguarding, and handicapped access.